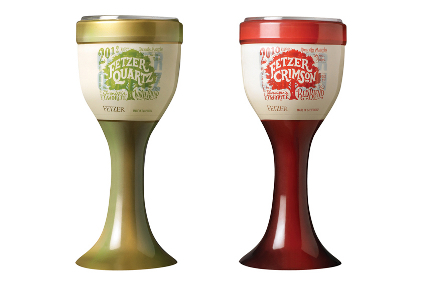 Fetzer has embraced a new single serve packaging format called Zipz in an attempt to bring wine to sporting events across the US. Launched in April this year in time for the opening day of Major League Baseball, Zipz is a new wine company which has partnered with Fetzer to create a novel single serve solution for outdoor events. Like the UK’s Le Froglet, a single serve format for supermarkets conceived by James Nash, Zipz is a 187ml plastic wine glass with a tear-off lid. However, Zipz also comprises a plastic top that can be taken off and reapplied, or popped onto the base of the disposable glass to act as a coaster.